This was no dream. He sucked in a deep breath. A breath full of that strange smell he couldn’t identify. He trailed his hands across the satin beneath him and to both sides of him and, when he raised his hands, above him too. He knew why it was so dark. He understood why he could see nothing. He realised why he was lying down. Frank and Gina Hackett think you’ve killed their daughter and they want a confession. If you say you did it, they’ll kill you. If you say you didn’t, they’ll leave you to die. So how do you stop the next words you say from being your last? It seems hopeless, but there is one way out . . .
I’ve been a fan of Shaun Hutson for many years. At school and college I loved his great horror stories and, only now, realise just how much I owe to him for ‘Assassin’ for the fantastic mix of crime and horror that it gave me as a younger reader. In more recent years he has thrilled me with books closer to the me of now, with ‘Hybrid’ he gave me the chills of seeing another me out of my window, tapping away on my own writing in my writing shed (or ‘Shoffice’ copyright Will Carver) whilst I remained safely within the house, then he gave us ‘Body Count’, ‘Unmarked Graves’, ‘Last Rites’ and now I finally got the time to catch up with ‘Epitaph’. Despite having a copy of the novel glaring at me from the shelf for months, it was a couple of weeks laid up sick at home which led to me reading it – or, rather, listening to it in audiobook form. It’s been ages since I’d ‘read’ a book that way and, being trapped in bed and judging time of day by the time my daughter arrived home from school each day, was certainly the most uncomfortable way I could ever have thought of experiencing this tale, other than nailing myself shut in a coffin. With earpieces in place I found myself drifting in and out of the story during the duration of its telling and that, probably coupled with my medication, gave me some of the worst nightmare waking moments I have experienced in many years. The story gives Hutson the chance to describe in horrific detail the two biggest fears I have ever had, the stealing away of a child and being buried alive and he delights in cranking up the tension to both elements equally. Was great to find him making mention of horror paperbacks (such as he used to write) when he describes the insects and, particularly, slugs as those queuing up to enter the coffin. Read by Sean Barrett, who although at first seems stilted in his delivery, the change in voices, particularly with his at times terrifying tone for Gina Hackett, this was a nightmarish ride through a few hellish days for me, with a good few dark twists along the way. 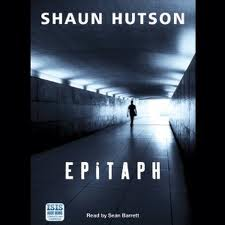 A dark and pain-filled ride into some extremely dark territory – but, once again, Shaun Hutson does everything that he does best – delivers, in spades! 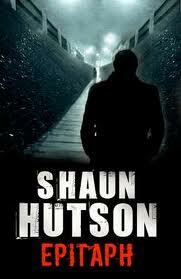 I’ve not yet read any of Shaun Hutson’s books, but having read your review I can see I’m missing out! Read his works. They are really worth trying.